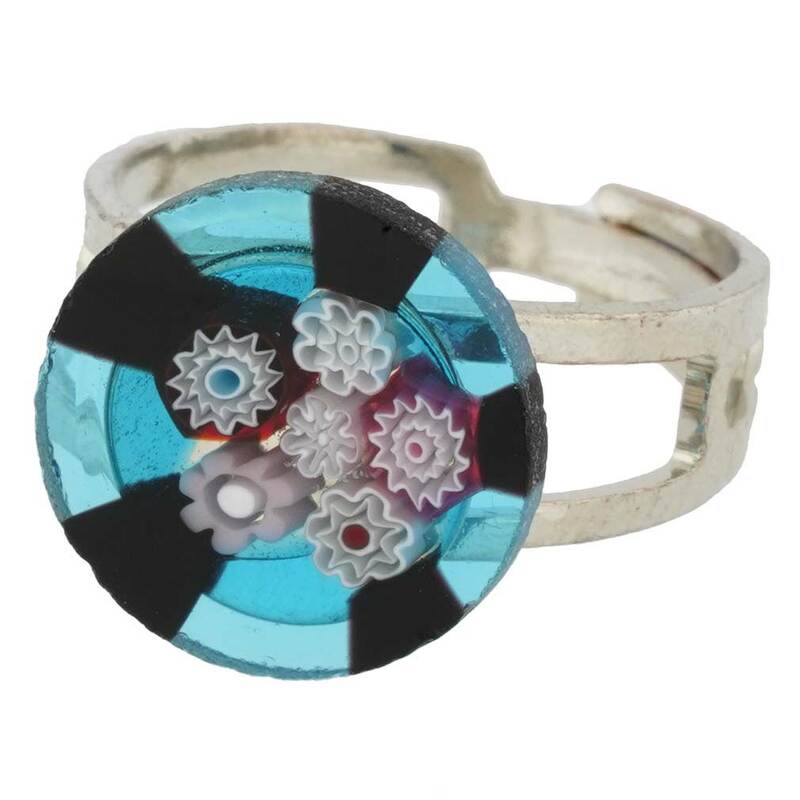 Unique and elegant, this Murano Glass Millefiori ring is crafted with passion by famous Murano artisans on the namesake island in Venice, Italy. This Venetian ring features an artistic pattern of colorful stylized flowers in rich hues, which will add a touch of authentic Venetian style and Italian elegance to any outfit. 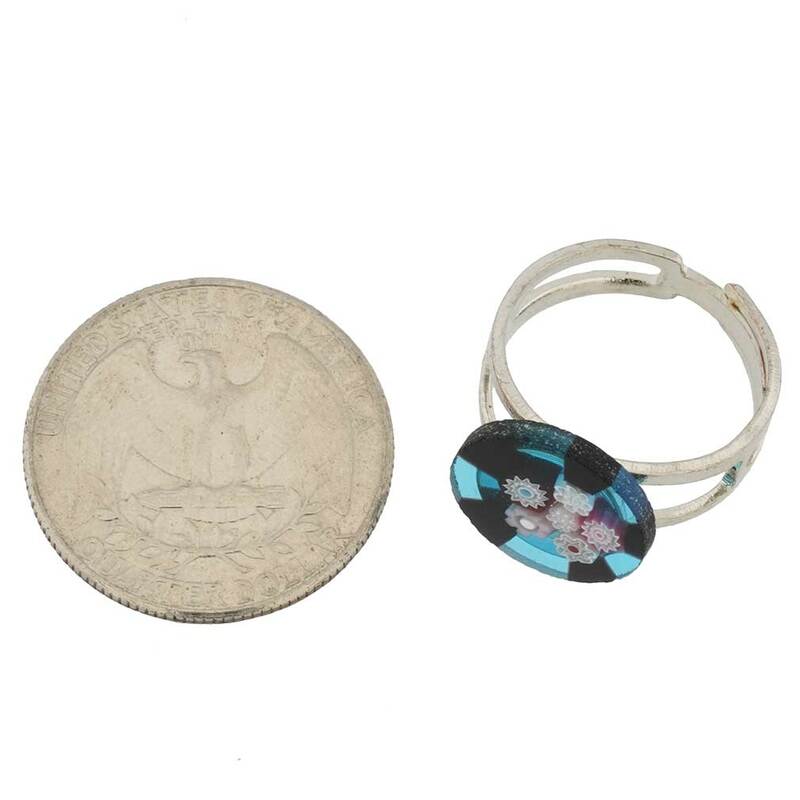 The Murano ring's central bead measures 1/2 inch in diameter and the band is adjustable to fit any finger size. The ring comes with an attractive velvet pouch and a certificate of authenticity. These rings are hand-made using a complex glass-making technique and are not framed, so slight imperfections characteristic of handcrafted items are possible. These imperfections are not signs of inferior quality, but instead are the very signs by which you can recognize the unique traditional work of Murano glass masters. Perfect sizen and beautiful. Love it.